Arizona Cardinals Mini Helmet Throwback 1960-2004; CASE OF 6 EACH - Login for CASE Price | Sports Memorabilia! Arizona Cardinals Mini Helmet Throwback 1960-2004 by Riddell. 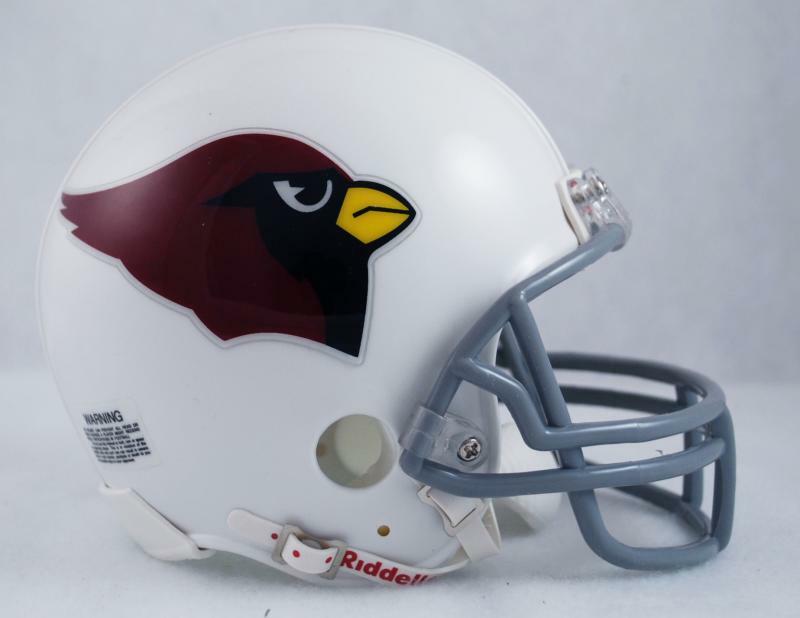 This Throwback Cardinals mini has a VSR4 style shell, Z2B facemask, interior padding and a 2 point chin strap and all mini helmets feature official Cardinal throwback colors and decals. This helmet is only available in cases of 6 each.